This article may or may not go against your current training mantra and I am almost certain it will go against the majority of information out there on the Internet these days. But the question is simple… are you willing to take the time to learn more in order to grow more? You’ve got to feel the PUMP! Your heart rate needs to be HIGH! And you need that mind muscle CONNECTION! Sure… they are all relevant principles to a degree, but they all focus on a feeling as opposed to focusing directly on the actual intended result. And this is a problem why? Well…They don’t focus on the primary principles of muscle growth. With the exception of the mind-muscle connection, whereby we absolutely want the movement to be hitting the desired muscle we are training, your heart rate and pump are largely a subjective feeling of ‘work’ and have zero impact on actual growth. ‘Feeling’ the muscle is also largely not correlated with actual growth, however, I think having the intention and understanding the movement in order to target the desired muscle is most definitely important. Again, these two attributes fail to have a direct impact on actual hypertrophy. So, what does have a direct effect on muscle growth you may ask? These 5 focuses of weight training should be your bread and butter when it comes to designing a program that is optimal for muscle growth. Now… what does all this mean? Well, it’s simple…You need to find the BALANCE! Super short rest periods to get your HR up will unequivocally reduce your capacity to increase intensity (absolute weight lifted) and similarly, focusing solely on the pump or doing excessively slow negative reps may result in excessive muscle damage and thus extended recovery times. And when you consider point #3 on that list, having the ability to increase the frequency of training stimulus will largely be impacted the most by how fast you recover as well. So, let’s put this into practice and outline some programming considerations for individuals trying to maximise muscle growth by manipulating their program design. This concept is simple… move more weight as consistently as possible! Using your primary compounds at the beginning of your sessions such as the squat, deadlift, bench, overhead press, leg press and a DB press, choose a rep range that suits you and allows you to progress in the most consistent manner as possible. Somewhere in the 4-8 reps is the sweet spot for most people. Whether you choose 4 or 8 should be determined by which rep range allows you to progress the most consistently in weight while maintaining the same technique and minimises how much time you need to recover the days after. Take long rests between sets in the vicinity of 3-6min in order to allow your energy stores to regenerate and focus solely on moving more weight. If you want to move maximum weight, you must rest. Do not rush these movements! Dial back the intensity (weight relative to 1RM) and work between 8-25 reps depending on your preference, and begin accruing lifting volume. This is where you can focus on manipulating the sets and reps of an exercise from week to week at varying intensities with the primary goal being to increase total kilograms lifted within a session. To make this example clearer this is how one very simple example would look. As you can see in this example, despite reducing the weight each set, this particular person still managed to lift more total kg’s in this particular exercise and thus lifted more volume. Similarly, you could try and attempt to lift 100kg for 42 reps in week 2 as well if you wish. Either way, more volume generally results in a greater hypertrophic response when compared to lower volume at higher intensities. 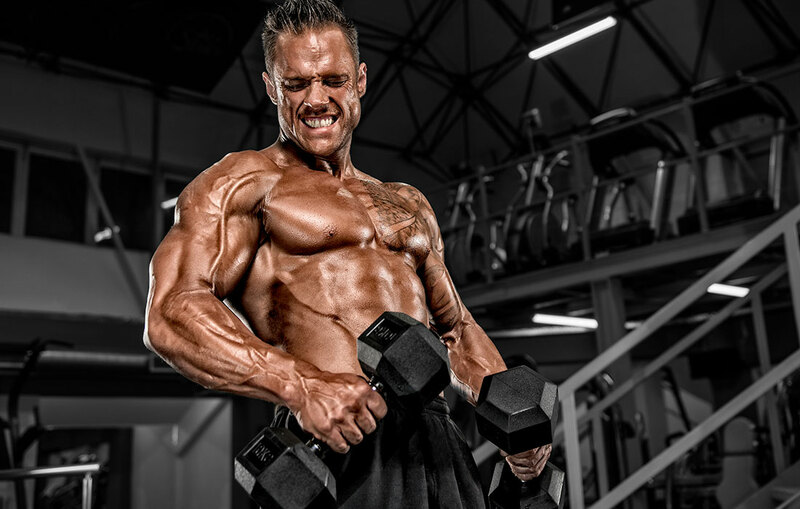 In regards to muscle growth, volume is one of the primary stimulators of hypertrophy and following this autoregulatory approach allows you to achieve consistent progression with less total fatigue. It also allows you to manage injury risk far more effectively as well due to the reduced loads. Aim for an increase in volume on a weekly basis until you reach a level where the fatigue is greater than the speed of recovery, titrate your volume back down again for a week, rest and repeat. This is probably one of the key considerations most people focus on the most but often target it in a reverse fashion in regards to what they actually do and what they actually want to achieve. In order to grow muscle you need provide a sufficient stimulus to engage an adaptive response (growth) but not so much so that it causes immense damage and slower recovery. You absolutely should take your training to a true 10/10 fatigue level from time to time, however, doing this at every session is a fast way to failure (pun intended). At 3 reps from true mechanical failure, you have already maximally recruited all of your available muscle fibres. Yet, if you stay within 1-2 reps from failure you reduce the risk of injury, limit the amount of fatigue, cause less mechanical and metabolic damage to the target muscle and therefore you also recover faster. Reaching insane levels of fatigue/failure can absolutely be advantageous in points of overreaching (week 7-8 of an 8-week program) but it is absolutely unnecessary to do this week in and week out. An adaptation forced by a stimulus does! Follow those 4 recommendations and you will recover faster, progress faster and you will be able to train more frequently if required to as well. 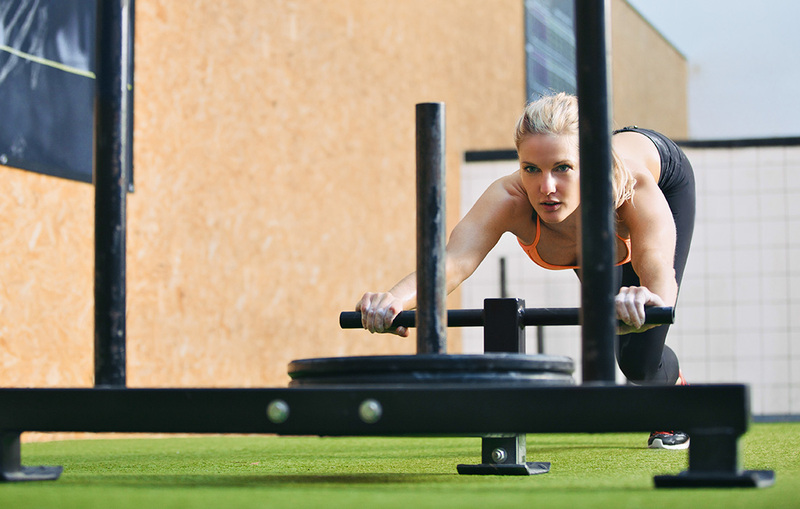 Remember…Weight training actually isn’t about trying to cause as much damage as possible. While the repair and rebuilding of muscle damage is achieving muscle growth, extreme damage does not equate to extreme growth! In fact… it more than likely will inhibit you! To do this, you need to control volume, intensity and frequency of the stimulus while also ensuring you have moments of overreaching very occasionally. Overreaching too far and too often will simply lead to long-term impairment of progression. Damage is not the key to muscle growth, progression is!